Meet Zera, a teenaged girl who, like many other young girls in the kingdom, wants to win the prince’s heart. The only difference is that she literally wants his heart. As in, the physical organ beating inside his chest. Zera is a Heartless. Three years ago, she was saved from the bandits who killed her parents by the witch, Nightsinger. But being saved by a witch means that Zera’s heart now resides inside a jar on Nightsinger’s shelf—rendering her immortal and permanently bound to Nightsinger. However, Nightsinger has offered Zera her freedom, but only if she succeeds in retrieving the prince’s heart in an attempt to end a war between the witches and the royals before it begins and wipes out the entire population of witches and Heartless. Sara Wolf’s novel is like a genius combination of TWILIGHT and ELLA ENCHANTED, with a little bit of THE HUNGER GAMES, as well. Zera’s wit and spunky personality make for a likable protagonist you’ll be rooting for to the very end, and the mysterious and flirtatious prince might be just the match for her cleverness. 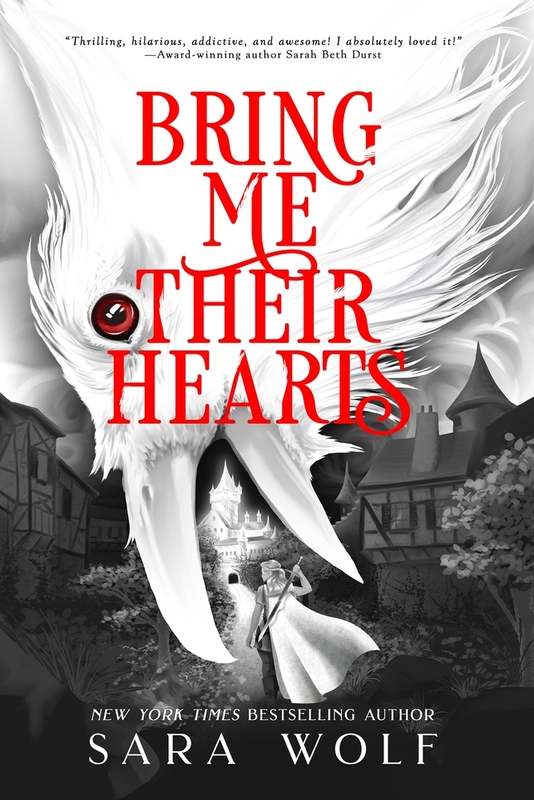 Perfect for fans of Kiera Cass, Victoria Aveyard, and Sarah J. Maas, BRING ME THEIR HEARTS is the first book in a trilogy, and the cliffhanger ending will leave you begging for the second (and third) installment. Happy reading & I hope to meet you in Denver!